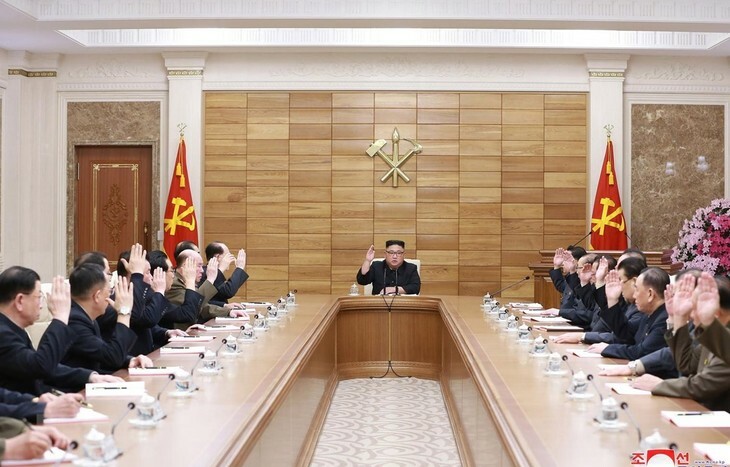 (VOVWORLD) - The Supreme People’s Assembly of North Korea convened Thursday to formally approve leader Kim Jong Un’s latest economic policies and possibly endorse a change in US strategy. The Korean Central News Agency (KCNA) reported on Wednesday that leader Kim told senior Korean Worker’s Party members to display a high sense of responsibility and self-reliance to fully implement the new party strategy in view of the current diplomatic situation. His comments, made at the Party’s Politburo meeting, showed a determination to push for economic development amidst stalled denuclearization talks with the US.